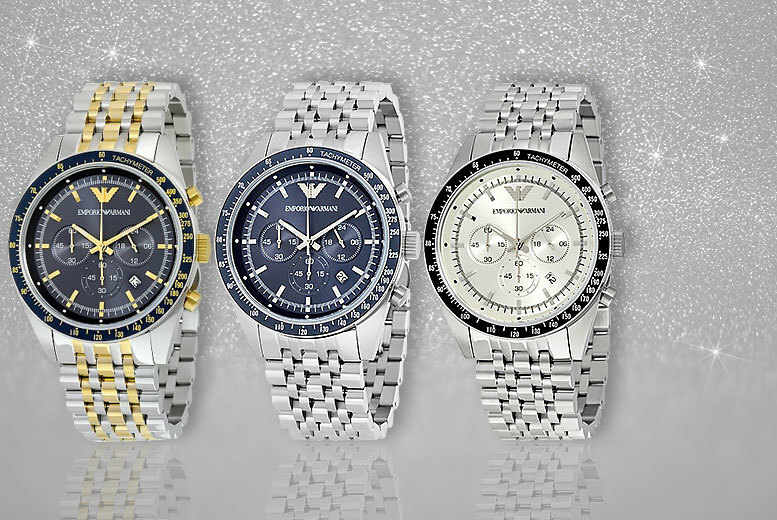 Armani have a reputation for exclusivity, but you can get into the club with one of these beautiful chronograph watches. Get a men’s Armani watch. Choose from two classic designs. In beautiful stainless steel casings. Exquisite style without the price. A great gift for the man in your life! 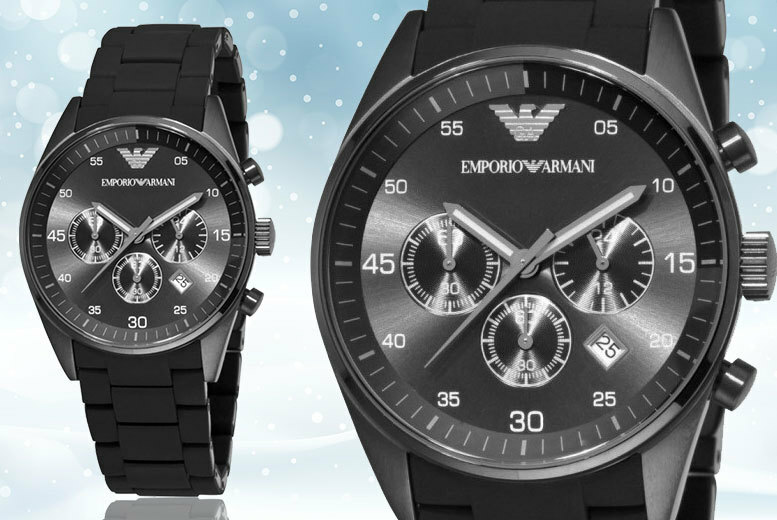 Keep some style up your sleeve with this sleek Emporio Armani AR5889 watch. In a sophisticated all-black design, this silicone-strapped watch features three subdials and a date window to ensure you tell the time in style! 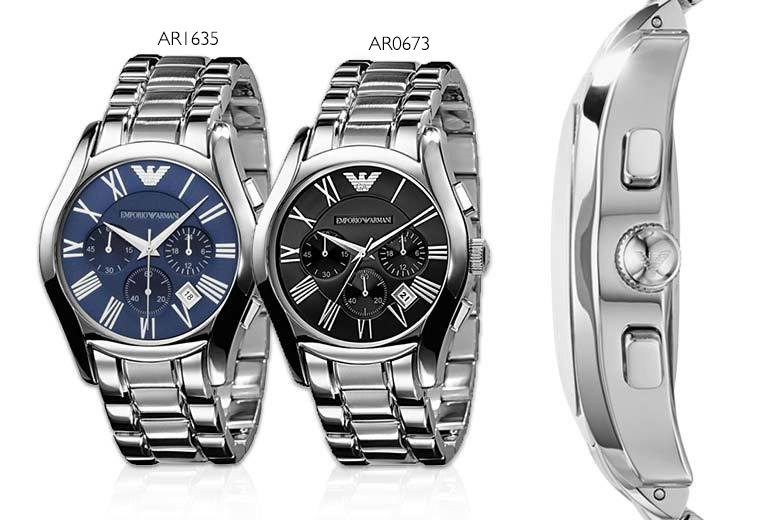 Get an Emporio Armani AR5889. In a sleek all-black design. Three subdials and a date window. Complete with a silicon strap. And the trademark Armani logo.